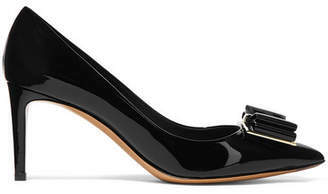 Salvatore Ferragamo - The Vara pumps are a Salvatore Feragamo signature – originally launched in 1978 – now reworked in quilted lamé patent black leather for the new season. 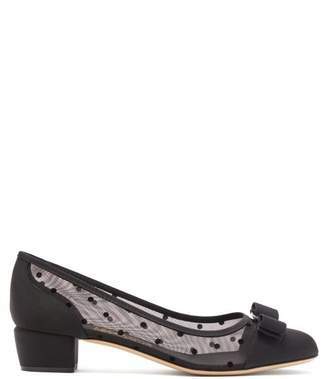 They're made in Italy with a round toe and a small block heel, then lined with black leather and set with the signature black grosgrain square bow. Style them as the statement anchor to top-to-toe neutrals, such as a sweater and fluted midi skirt.